Connecting with your children online so you can keep an eye on their social media profiles. This is something I do with my own teenager and was the condition she had for getting accounts in the first place. Monitor who they are friends with and sending messages too. Again this is something I used to do a lot when she was younger, I would always check her DM's and go through her friend's list to make sure they were all people she knew in real life. Talk about their favourite sites with them. My teen uses sites such as snapchat which I don't personally use or really understand much, I actually set up an account just to see what my teen is up to and got her to show me how to use it. Talk about the importance of not sharing personal information such as your address online. Again something I have made sure we talked about and encouraged her to never mention. Add parental locks to Youtube, with my younger children they have parental controls on their tablets so they don't end up watching something unsuitable online. Keep social media channels privates. With my teen I made sure all her social media channels are private, Facebook and Instagram are all set to private with only friends being able to see her photos and message her. Only accept friend requests from people you have met in real life. This is something I had to talk to my teen about as she would often add friends of friends online without meeting them herself, so we talked about the danger of this and now she only accepts people she knows. Keep passwords secret. For obvious reasons, so people don't access your account and find out personal information, add people you don't know or hack your account and cause problems. Don't message people you don't trust. This is something that crops up a lot, people screenshotting things and trying to cause problems or people who you are not sure who they are messaging you. 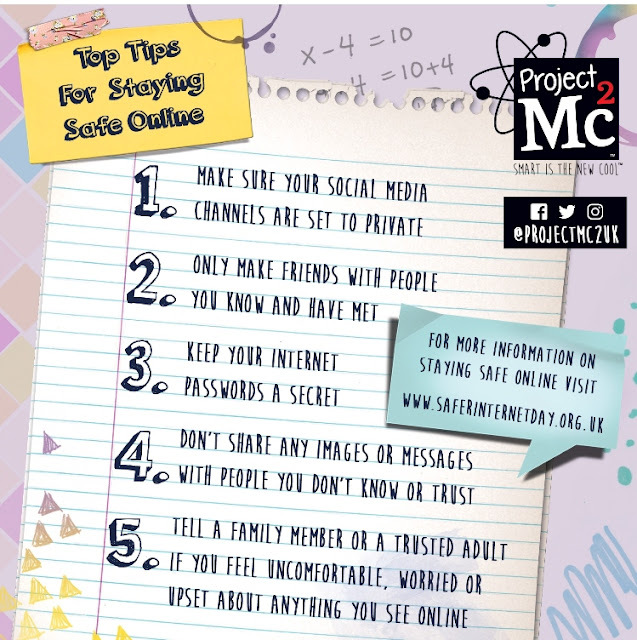 Tell someone if something happens online that you don't feel comfortable with. Luckily my daughter does tell me when people have been mean online, we had an incident a couple of years ago that upset her but luckily she told us and it was dealt with quickly. 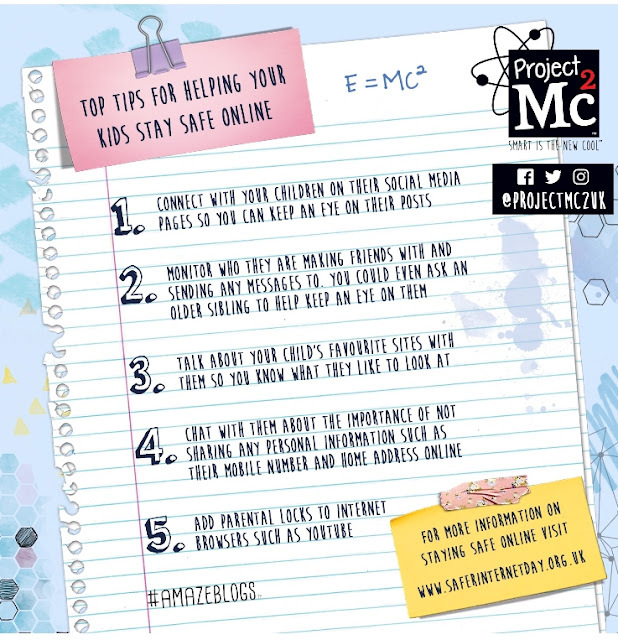 How do you ensure your children are safe online? Disclosure I received some Project MC2 products in exchange for this post, however, all opinions are my own.